Patrick Rothfuss' THE NAME OF THE WIND is the most brilliant first fantasy novel I have read in over thirty years as an editor. After reading the first hundred pages of the manuscript, I knew I had to publish this book. 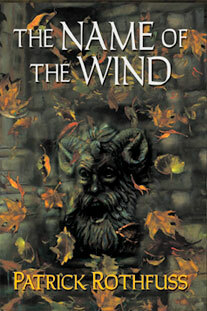 THE NAME OF THE WIND begins the tale of Kvothe (pronounced "quothe"). It is the riveting narrative of a young man who becomes the most notorious magician his world has ever known. Kvothe tells his own story, from his childhood among a troupe of traveling players, to years spent as a near-feral orphan in a crime-ridden city, followed by his brazen yet successful bid to enter a difficult and dangerous school of magic. Told in classic high fantasy style, THE NAME OF THE WIND is a masterpiece that carries a fresh and earthy originality all its own. It transports the reader to the interior of a wizard's mind and to the world that helped create him. It is the story of a legendary hero and the truth that lies behind his legend. But Rothfuss also shows us how a hero can become ensnared in the very mythology he himself has brought to life. To find a writer of great craft and breathtaking vitality is a rare occurrence. Patrick Rothfuss is that rarity. He will capture you with the power of Kvothe's story and the robust beauty of his writing. Join me in welcoming a writer who will rank with Tad Williams, George R. R. Martin, Terry Goodkind, Robert Jordan, and Terry Brooks. Exciting and rousing, intimate and personal, THE NAME OF THE WIND doesn't just describe what it is to be heroic, it is heroic.